It's hard to believe we are already at October. Perhaps even crazier is that Christmas is only 11 weeks away! Yes, 11 weeks. Now before I get too ahead of myself (unlike many stores and restaurants...I'm looking at you Hobby Lobby and Cracker Barrel! 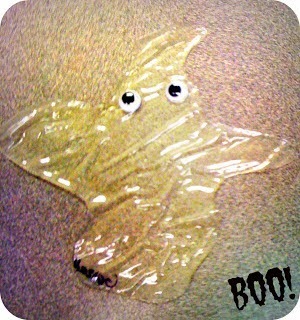 ), I'll keep this post on the topic of Halloween. I haven't always been able to legally do anything Halloween related, so, instead, I have celebrated Pumpkin Day in my classroom. I ask parents to donate pumpkins and pumpkin foods to our class, and I set up cross-curricular stations incorporating them. Students spend part of the day learning about math, reading, writing, and science using pumpkins. It's a fun and easy way to incorporate the season into the curriculum. 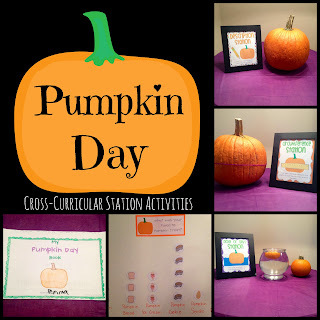 You can read more about Pumpkin Day and the activity packet I put together here. They're super-easy to make! All you need are some Googly Eyes and a few bottles of glue. Instructions can be found here. What fun activities do you do in your classroom during the month of October? I'd love to hear your ideas! This is a great site and I love all these Halloween activities people can do. Every Halloween my family and I go on a haunted hayride. My kids love it but my wife always gets scared. Last year we actually visited Night of Terror and it was so much fun. I would have to say it is one of the best Haunted Hayrides we have been to. Since the Halloween is approaching it is a good idea to starting planning events and activities like these to get in the Halloween spirit.